Born in Taranto, Puglia, in Italy, he began playing the drums at the relatively late age 19, driven by a strong urge for musical expression after discovering jazz, especially the Miles Davis group with John Coltrane of the 1950s. He received a few lessons from some fellow, but not always the best way to learn, because you can not go wrong. So soon study at the local music school. During the 1980s, he worked with a number of young jazz talents on the scene of Apulia, until 1991 and was heard with the band of Enrico Rava. 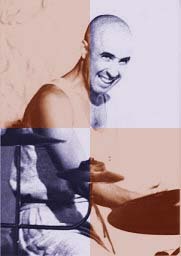 Enzo starts to form his first bands, and works with the most important Italian musicians: Gianluigi Trovesi, Ernst Reijseger, Gianni Basso, Stefano Bollani, Dado Moroni, Ira Coleman, Enrico Rava, Rita Marcotulli, Danilo Rea, Enzo Pietropaoli, Gary Smulyan, Dave Murray, and others. Often he works also abroad: he has performed in Germany, the Netherlands, Switzerland, Hungary, but also in China, Australia, India, Africa, Latin America. In 1995, he formed a septet with Pino Minafra, Antonello Salis, Gianni Lenoci, Vittorino Curci, and others. The group came out audiences wherever they have performed in four years and important critics have written. With his impressive debut album on Leo Records, "Rondonella Project", we all have the opportunity to listen to them as one of jazz / avant-garde latest and brightest on the European continent as it sounds. As a critic in Paris wrote: "With smart choice of albums Lanzo seems well aware of what makes jazz music neorealist. In 2003, he recorded with bassist Giuseppe Bassi, guitarist Guido Di Leone, pianist Ettore Carucci "Toto Jazz" (Panastudio Productions), movie soundtracks of Toto. In 2008, he recorded "Boastful Speeches" with Roberto Ottaviano, Lauro Rossi, Giovanni Maier. Also, Enzo is involved in many projects as a sideman.